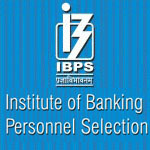 Institute of Banking Personnel Selection (IBPS) has released the official notification for the posts of Clerks (clerical cadre) on its official website www.ibps.in. The candidates waiting for the release of IBPS Clerk Recruitment Notification, can check the official site to apply online and to read the procedure of online exam to be held this year. There are a large number of candidates looking for the link to download recruitment notification document and to apply online directly for preliminary exam for clerical cadre. IBPS is scheduled to conduct the Clerk Exam in two phases- Preliminary and Main followed by Interview for final selection. IBPS will conduct the online objective test to shortlist candidates for mains exam. Various public sector banks participate in the exam conducted by IBPS and banks directly recruited employees through the selected candidates in IBPS according to their ranks and marks scored. Candidates qualified in Preliminary exam will go through Mains examination followed by a common interview conducted by various participating organizations. Read the following details and check your eligibility before applying, download the notification and apply online. Age limit: Candidates must have their age in between 20 years to 28 years as of 1 August, 2015. For SC/ST/PWD categories- 100 Rs. For other categories- 600 Rs. All the candidates will go through in two phases- preliminary exam and main exam , followed by common interview for final selection. How To Apply Online For IBPS Clerk Exam 2015-16? All the interested and eligible candidates can download the online recruitment notification from the download link given below and starting date to apply online is 11 August, 2015 to 1 September, 2015. Click on the following link to apply online.